It took just over 2 seconds to read in over 25,000 records, not bad. And a quick check of the data shows that is loaded successfully! The 2018 MySQL Community Reception is October 23rd in a new venue at Samovar Tea, 730 Howard Street in San Francisco at 7:00 PM. Right in the heart of the Moscone Center activities for Oracle OpenWorld and Oracle Code one activities. The MySQL Community Reception is not part of Oracle OpenWorld or Oracle Code One (you do not need a badge for either event) but you do need to RSVP. Food, drinks, and a really amazing group of attendees! And there will be more than tea to drink. Plus we have a few new surprises this year! Last time I mentioned four great MySQL books for 2018. I was tactfully reminded of two books I overlooked. First is Dr. Charles Bell's Introducing InnoDB Cluster which I have not read (but it is on order). And last, but not least, is Mikael Ronstrum's MySQL Cluster 7.5 Inside and Out. This is another book on NDB cluster and is a 'msut have' for those running NDB clusters. I apologize to both authors and take full blame for not mentioning these two find books. Now I just have to wait for Amazon to send me the copies I ordered! Someone once told me you can tell how healthy a software project is by the number of new books each year. For the past few years the MySQL community has been blessed with one or two books each year. Part of that was the major shift with MySQL 8 changes but part of it was that the vast majority of the changes were fairly minor and did not need detailed explanations. But this year we have been blessed with four new books. Four very good books on new facets of MySQL. 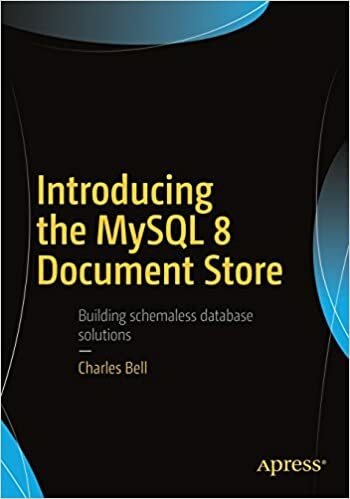 Introducing the MySQL 8 Document Store is the latest book from Dr. Charles Bell on MySQL. If you have read any other of Dr. Chuck's book you know they are well written with lots of examples. This is more than a simple introduction with many intermediate and advanced concepts covered in detail. 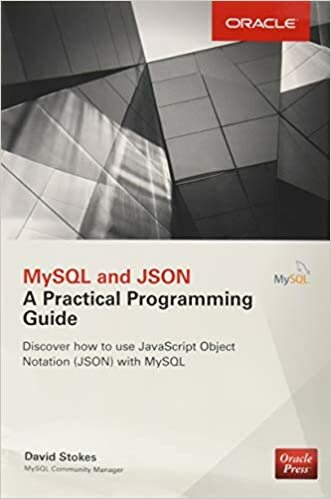 MySQL & JSON - A Practical Programming Guide by yours truly is a guide for developers who want to get the most of the JSON data type introduced in MySQL 5.7 and improved in MySQL 8. While I love MySQL's documentation, I wanted to provide detailed examples on how to use the various functions and features of the JSON data type. Jesper Wisborg Krogh is a busy man at work and somehow found the time to author and co-author two books. The newest is MySQL Connector/Python Revealed: SQL and NoSQL Data Storage Using MySQL for Python Programmers which I have only just received. If you are a Python Programmer (or want to be) then you need to order your copy today. A few chapters in and I am already finding it a great, informative read. 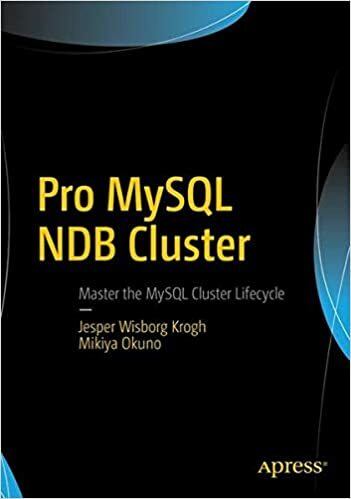 Jesper and Mikiya Okuno produced a definitive guide to the MySQL NDB cluster with Pro MySQL NDB Cluster. 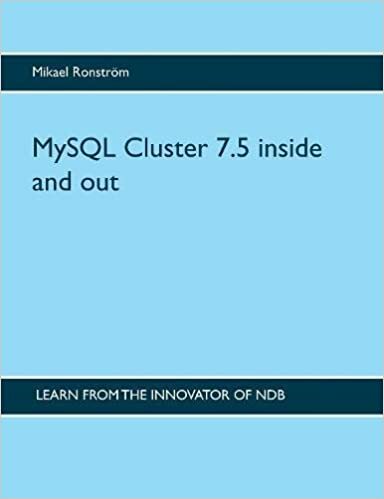 NDB cluster is often confusing and just different enough from 'regular' MySQL to make you want to have a clear, concise guidebook by your side. And this is that book. Each of these books have their own primary MySQL niche (Docstore, JSON, Python & Docstore, and NDB Cluster) but also have deeper breath in that they cover material you either will not find in the documentation or have to distill that information for yourself. They not only provide valuable tools to learn their primary facets of technology but also provide double service as a reference guide. What is a Prepared Statement? The MySQL Manual states The MySQL database supports prepared statements. A prepared statement or a parameterized statement is used to execute the same statement repeatedly with high efficiency. So far, so good. Well there is also a performance issue to consider too. From the same source The prepared statement execution consists of two stages: prepare and execute. At the prepare stage a statement template is sent to the database server. The server performs a syntax check and initializes server internal resources for later use. So it is a two step process. Set up the query as a template and then plug in the value. If you need to reuse the query, just plug in a new value into the template. So lets look at how it is done. On PHP.NET, there are a lot of really great examples. Question marks (?) are used as placeholders that will be filled in at execution time. So that is the basics. But what do they look like with the other two extensions? So what does the MySQLi version look like? Once again question marks are used as placeholders. But what is that sssd stuff? That is where you declare the type of variable you are want to use. Use 's' for string, 'i' for integer, 'd' for double, and 'b' for a blob (binary large object). So you get the advantage of type checking. The much newer X DevAPI is for the new X Protocol and the MySQL Document Store. Unlike the other two examples it is not Structured Query Language (SQL) based. Note that this is not an object relational mapper as it is the protocol itself and not something mapping the object to the SQL. So now you know how to use prepared statements with all three PHP MySQL Extensions.